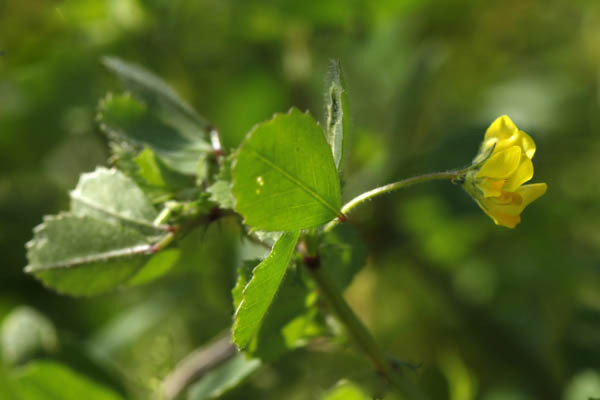 Scientific name: Medicago littoralis Rhode ex Loisel. 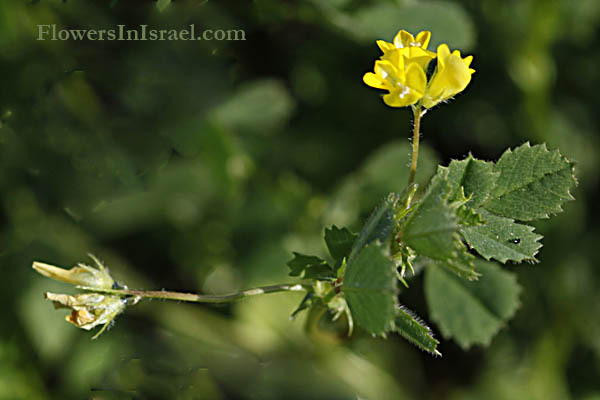 Synonym name: Medicago arenaria Ten., Medicago cylindracea DC. 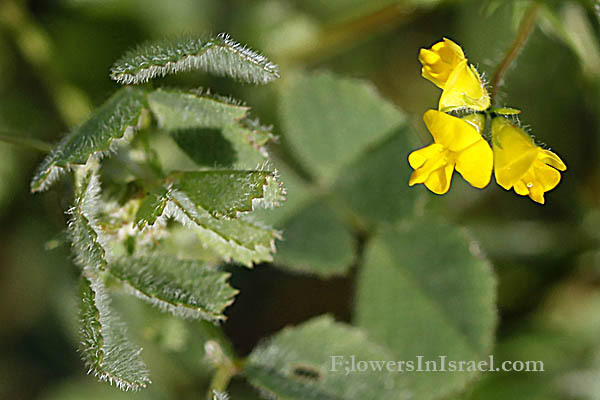 Medicago, from Medike, or medick, the Greek name for alfalfa, which came to Greece from Medea. littoralis, of the sea shore; littoral. inermis, unarmed; without prickles, not spiny. arenaria, arena, sand; slime, mud; relating to sand. The standard author abbreviation Rhode is used to indicate Johann Gottlieb Rhode (1762 – 1827), German . The standard author abbreviation Loisel. is used to indicate Jean Louis August Loiseleur-Deslongchamps (1774 – 1849), a French botanist. The standard author abbreviation Moris is used to indicate Giuseppe Giacinto Moris (1796 – 1869), an Italian botanist. The standard author abbreviation Ten. is used to indicate Michele Tenore (1780 – 1861), an Italian botanist active in Naples, Italy.